Hello sir i cant find out any information about geology and geophysics gate reference book please sir give some book name which will helpful for me in geology. Iam currently in 1st year msc geology. I had done my 12 th from pure science background without maths. 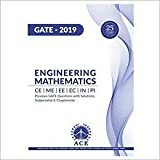 I want to know that am I eligible for writing gate exam? on qualifying gate will I get a job or will I be eligible for studying in iit? i am student of m.sc environmental science can i fill gate exam in geology and geophysics plz if not which subject for me better. if there is a reference books for geology and geophysics exam? why dont we have gate exam for petrolem engineering students? why isint this issue being taken seriously??? 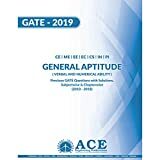 GATE exam was earlier only for getting admission into ME/M tech courses but from when GATE score is being used by PSUs, little modification has become important in this exam. So, it will take some time to be modified may GATE office introduce GATE paper in petroleum engineering from 2016 examination.